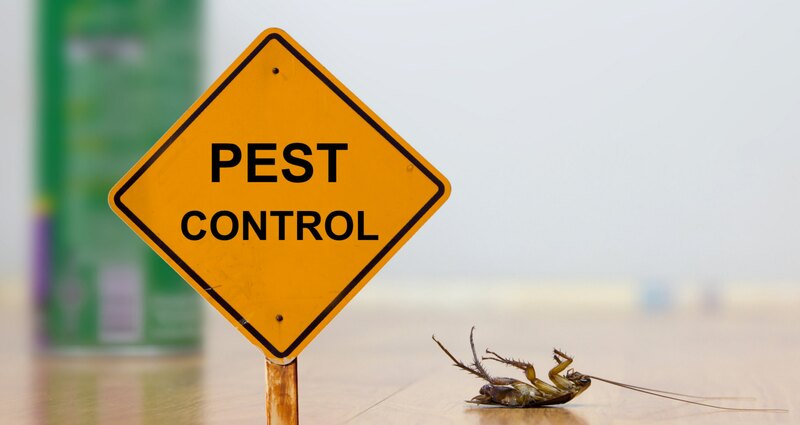 More than 10 percent of the population is afraid of pests, whether it’s spiders, mice, rats, or other unwanted critters. But insects are a fact of life. They hide out in our homes, build nests in the basement, and live alongside us no matter how much we try to get rid of them. Understanding the most common bugs found in homes can help make them less terrifying. Even better, it can help you keep infestations from happening in the first place. Here are a few of the most common household insects and what you need to do to get rid of and prevent those unwanted infestations. Fruit flies are one of the most annoying pests homeowners deal with. Their eggs hatch quickly, meaning your kitchen can go from clean to infested in as little as a day. Most often, fruit flies take up residence around food prep areas, in sunny windows, and near trash cans. But what makes them such an issue is their ability to bring disease and increase food decay inside the house. Luckily, they’re relatively easy to get rid of and prevent over time. Build a trap for existing fruit flies by filling a glass with warm water and a tablespoon each of apple cider vinegar and dish soap. The vinegar lures them to the glass and the soap coats their wings so they can’t fly away. Keep them from coming back by cleaning the kitchen thoroughly every day. Store fruits and vegetables in the refrigerator whenever possible and wipe down surfaces after cooking. Ants are always on the hunt for food and water. And the best place to find a steady supply of both is at your house. They slip in through cracks and open doorways, scout the house out, and send for reinforcements back at the colony. Getting rid of them takes a bit more effort than other pests. If you don’t have pets or children in the house, traditional pesticides are effective. If you want a pesticide-free way to keep them at bay, sprinkle a few drops of peppermint oil on cotton balls and set them where you’ve seen ants entering the house. You can also use diatomaceous earth powder to create barriers around the kitchen. Both methods are safe for kids and pets. Once you’ve got the current infestation under control, keep ants from coming back by cleaning your house thoroughly. Wipe down countertops, vacuum and mop floors, and take out smelly trash every few days. Bed bugs are a major problem especially for residents in large cities or those that travel often. They’re small, brown, and often shiny in direct light. Most bed bugs hide along the seams of mattresses, in upholstered items, and in the joints of wooden furniture. Most often, people discover the infestation after seeing bites on their legs, neck, or hands. Read more here to learn about the signs and symptoms to watch for. Getting rid of them requires professional treatments from specialized pest control teams. You’ll also need to buy bed bug mattress covers to keep them from spreading throughout the house. Avoiding bed bugs is relatively simple. Avoid buying used furniture and avoid setting your suitcase on the floor or bed when traveling. Once you’re home, unpack your luggage outside and wash your clothes in hot water. Where there’s one roach, there are dozens of others hiding in your house. When left unchecked, roaches spread disease and startle nearly everyone who sees them. Setting roach traps from your local hardware or grocery store is usually enough to control the problem. If the infestation is severe, consider hiring a professional pest control team to spray for them. To keep roaches from coming back, keep your house clean and keep all food in sealed containers. Also, consider taking the trash out more often as it removes temptation and makes your home more inhospitable to roaches. Mosquitos lead to uncomfortable and itchy bites, but they also spread illnesses like West Nile Virus and Zika. Getting rid of them is an ongoing battle, but it is possible. Get rid of any standing water on your property. If you have a pool or pond, circulate the water with a pump. This keeps mosquitos from successfully laying eggs. Use bug spray, and citronella candles or torches when spending time outside. You may also want to wear long sleeves and pants to cover up against their bites. Spiders are a fact of life no matter where you live. They’re in every house, condo, RV, and dwelling across the globe. Though they’re creepy, most spiders are harmless and help control the population of unwanted insects like flies, mosquitos, and even roaches. Keeping them around is in your best interest. But you can reduce the number you see in your house. Start by giving your house a good deep cleaning. Get rid of clutter, dust behind knickknacks, and vacuum weekly. Outside the house, start improving your landscaping. Keep plants pruned and trimmed away from the house to make it harder for spiders to slip inside. If you’re worried about poisonous spiders, you can call a pest control team to inspect the property. But remember, getting rid of all spiders isn’t in your best interest. Silverfish are among some of the most destructive common household bugs. They thrive in areas of high humidity and eat fabrics, upholstery, paper, cardboard, and food items without discrimination. They’re easy to spot with their bright silver color and are even easier to prevent. Keep your house clean. Get rid of piles of cardboard boxes and newspapers lying around. And make sure to keep food in sealed containers. If you already have an infestation, tidy up your house and spread diatomaceous earth in areas with the highest silverfish populations. You can also use insecticide and traps to get rid of more stubborn pests. No matter what you do, these common bugs found in homes will always be an issue. But as long as you stay on top of your preventative measures, you’ll keep the worst infestations from happening in the first place. Keeping a clean house is the best way to reduce your risk of an insect infestation. But finding the right place to call home can be a challenge. Check out our current listings and let Sky Five Properties help you find the perfect house or condo to call your own. 89% of tiny house owners have less credit debt than the average American. While that isn’t the only perk of owning a tiny home, it’s one of the biggest. If that’s enough to pique your interest in a small home, there are a few things you’ll want to consider before making the investment. Small space design is different from traditional interior design. Here’s what you need to know about optimizing the interior of your tiny home. Interior designs for small spaces are all about playing visual tricks on your visitors (and even yourself). To really optimize the space that you have, you’ll want to design in a way that doesn’t add clutter. Then, you’ll want to focus on incorporating trending colors and furniture that make the space feel larger. Adding floor-to-ceiling drapes to draw the eye towards natural light. This will also help make the ceilings look taller. Incorporate mirrors into the natural decor. Mirrors help reflect light and create an amplifying effect if they’re large enough. Choose paint colors that reflect light and make the room feel more inviting. Off-whites, light blues, and warm greens help with this. If your tiny home is pre-built and you find that it doesn’t quite jive with your style, consider a remodel. 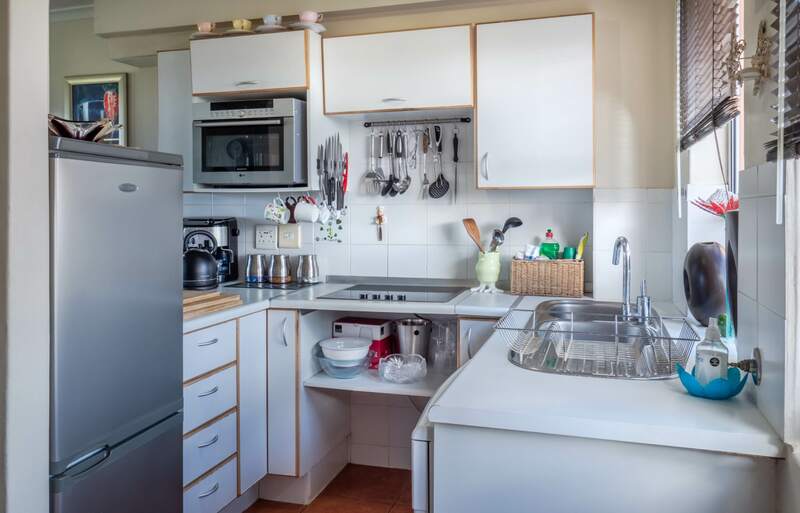 Remodeling the kitchen is one of the most efficient ways to optimize a small space. During this remodel, you can ensure you’re organizing appliances and islands in a way that makes the most sense for you. Beyond the Horizon Construction Inc. recommends that during a remodel of this kind, it helps to splurge on countertops while mixing new and vintage items. This will help increase the value of your tiny home while ensuring it feels luxurious, albeit small. The lighting in a room changes the mood of the environment. It also changes the perceived size of the space. If you can, you’ll want to allow natural light to enter as much as you can. Living in small spaces is going to feel a lot lighter in a physical sense if you have large windows to let light in and air out. If you’re going to build your home yourself, this is important to consider in the design phase. 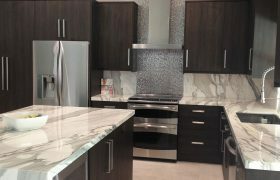 Small house design ideas that include backlit countertops and tall floor lamps help increase the space of a home’s interior as well. Small space design is a great way to ensure your tiny house feels like home. By incorporating design tips that include choosing the right paint, letting natural light into the space and getting creative with lighting, you’ll be able to amplify any small space. This all will help it feel more spacious and comfortable. If you’re still looking for the home of your dreams, browse our homes for sale or contact us to see what’s on the market. One of the great catch-22s of our warming planet is that as we get warmer, we’ll need more air conditioning, which can make the planet warmer. Thankfully, room air conditioners have gotten more energy efficient and the latest models can work wonders on a space with little effort. Here are five things to look for when you’re shopping for a room air conditioner. When you’re looking for an air conditioner to suit your needs, you need to start by thinking about power. When you’re thinking about power, you also need to think about the kind of space that you’re dealing with. There are few air conditioning units that could cool and entire home evenly, but the bigger your space is, the more kW you’ll need. Air conditioner capacity is rated in BTUs with the power that they put out measured in kilowatts. When you’re looking for the right sized air conditioner, you need to know that size really matters. You can get an air conditioner that’s too big and costs too much to use or one that’s too small and won’t give you the power you need. If your room is about 50-square feet, you can get a unit that’s around 2.5 kW. For a room that’s more like 100 square feet, you’ll have to double that size to 5kW or more. Rooms that are 200 square feet or more need to have units that start around 7kW to make any impact on temperature. If you’re buying from an appliance store, ask staff what they recommend. You’ll also find that high-efficiency air conditioning units are far better suited to handle large spaces than ever before. Check out some window air conditioner reviews before you make any final decisions. There is more than just one type of air conditioner available. 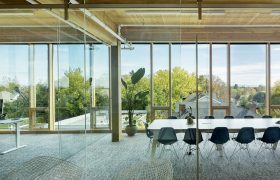 Window units and indoor units offer more flexibility than ever before. Split system air conditioners are made up fo two different elements. There’s one that’s attached to your wall from the inside and another component that sits outside and throws heat out. These are your standard window air units that you’ll find in most homes. Positioning the heat generating component away from any other hot appliance so that the cool air is distributed around the room. If the external part is put in the shade, you can avoid having it overheat. Keep it away from falling branches as well. A reverse cycle split air conditioner is going to give you cool air in the summer and heat during the winter. You’ll need to have a duct system for most of these types of units. The ducts can be installed in your floor, on your walls, or in the ceiling. 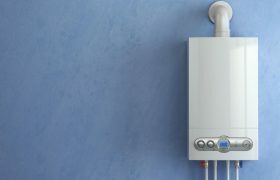 Alternate types of systems include inverter systems that vary the temperature with constant flow and multi-split systems that connect multiple units together. Ultimately, you’ll want a system that’s easy to maintain and simple to install. Portable air conditioners that roll along the floor and just require you to position a collapsible duct out the window are perfect for flexible needs. When you’re looking for an air conditioner that offers more than just a steady temperature, you’ll find lots of extra features loaded on them. If you’ve installed your air conditioner high up and out of reach, you can get one with a remote control. This allows you to control the temperature of your space from far away. Others come with timers so that the unit turns off at the same time each day to keep your energy bills low. If you’re in an extra humid place some will also include a dehumidifier to keep your air drier all throughout the year. This is great on the top floor or especially warm spaces. If you get a reverse cycle air conditioner, you can get heat during the cold parts of the year sd cool things down during the warmer days. You can even find units now that have mosquito traps to ensure that your space is not only free of uncomfortable heat and humidity. You can also keep pests out along with unwanted heat. When you’re investing in an air conditioner, it’s only going to give you life for as long as the components can last. Some air conditioners will last for a decade or more. Other larger units need regular seasonal maintenance to ensure that they can keep running. When you fail to keep your air conditioning unit clean, you end up causing more than just a mess at the edges of your unit. You also end up with potential air quality and breathing problems. If your home is prone to mold and mildew, this could add to the number of issues you deal with when it comes to breathing. If your air conditioner has an accessible filter, clean it out at least every month. You’ll get rid of those harsh airborne particles that could end up hurting your ability to breathe and end up making your system more efficient in the process. As you unclog your filters, you end up allowing air to flow in more smoothly. If you’re paying for room air conditioners that are overpriced or cost too much to maintain, then it’s probably not worth the cost. Air conditioners should be simple to install, easy to use, and shouldn’t require you to call up a maintenance person on a daily basis to stay comfortable. If your AC breaks down, check out our guide to see if it’s covered by your insurance. Throughout the U.S., different housing markets are getting increasingly competitive. 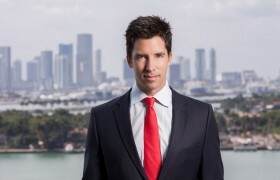 If you work it real estate, is particularly important that you be on top of your game. If you want to wow your clients and make sales, you need to go the extra mile, especially when it comes to selling new properties. High rises and luxury apartment buildings are cropping up in urban and suburban areas across the country. You could be tasked with trying to sell a pre-construction property that isn’t built yet. That’s where a 3D architectural rendering can give you the advantage you need. What is 3D rendering? It’s a tool that can help you land sales – if you know how to use. Below, we’re taking the time to explain 3D rendering and how it can help you secure more sales. Read on to learn more, so you can start taking advantage of this important tool today. 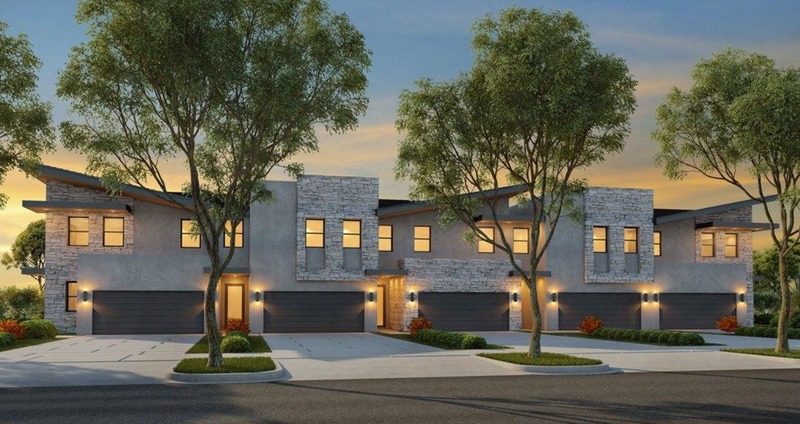 Traditional real estate renderings can be time-consuming and expensive to produce because they have to be updated constantly. Each time the design of the building evolves, you have to go back to the drawing board and create a brand new rendering from scratch. That’s frustrating both for you and for the client, who has to wait to see the changes. With a 3D architectural rendering, changes and additions can be made almost instantly. You don’t have to waste time producing sketches and models because everything already exists in the 3D real estate rendering software. You and your clients will be able to move through the process of finalizing the sale even faster. One of the best ways to make any kind of real estate sale is to show your clients how space fits their vision. Everything from the color to the design to the style of the paint matters. There is no better way to visualize a space than by working with a company. For example, a company like GSW Animation, that specializes in 3D architectural rendering. The 3D aspect of the rendering brings the entire space to life. Your client will be able to explore every nook and cranny with ease, and they’ll be able to picture themselves in the space better than they ever could with just a 2D sketch. 3D real estate rendering technology is here to stay, but not everyone has explored the benefits of it yet. The sooner you adopt 3D technology for your real estate renderings, the more competitive you’ll be. It will give you that edge that will help you stand out to clients and garner more business. Want to Know More about 3D Rendering Technology? When you’re working in real estate, you want to be able to convince your clients that the space you’re showing them is the only place they’ll be happy. You want to make them feel heard, and be able to easily incorporate their ideas into a design so that they know you’re listening. All of that is possible with 3D rendering technology. The more comfortable you get with this important tool, the more successful you’ll be. For more information on real estate properties, please browse the site. The great thing about making investments in real estate is that there are so many different options. But what is the right choice for you? Is buying a condo a good investment? It could be a great investment in certain circumstances, but not the best choice in others. There are pros and cons to any real estate purchase. Condo purchases are no different. Read on to learn more about condo investments and how to make the best decision for you. Even if you don’t own your home, it’s important to make sure your stuff is safe and protected from all kinds of serious disasters. Whether you live in an apartment, townhome, or condo, renters insurance coverage is absolutely essential. Anything from a building fire to a break-in can cost you potentially thousands of lost dollars. Just because your landlord owns the building you live in doesn’t mean your personal property is covered under their insurance. Read on to discover seven tips to help you find reliable coverage. Take a close look at potential policies and what they cover. 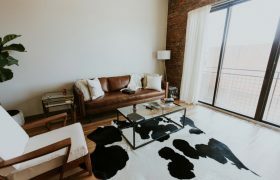 Most renters insurance will cover the basics like your personal belongings, however, high-end jewelry or artwork may require you to pay extra on your premium. In addition to the actual items that are covered, make sure the insurance will protect you in a variety of situations. For example, if your friend comes over and hurts themselves in your apartment, your policy might cover their medical expenses. Another bonus to many renters insurance plans is that they’ll provide you with temporary housing in the event that your apartment gets damaged due to things like flooding or fire. Even if you don’t have an original Van Gogh painting hanging in your apartment, you still want to make sure your stuff is covered. Make a list of the things you own and write down the estimated cost to replace each one. 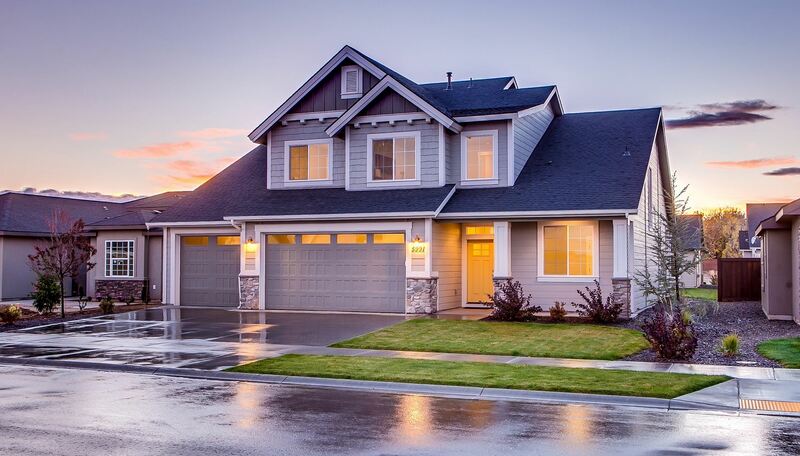 Add up your newly-created home inventory and this should give you a good idea of how much insurance coverage you should opt for. Many plans will allow you to combine your personal belongings with your spouse or roommates. Talk to you an insurance agent who can walk you through the coverage limits, including liability. If you happen to have some serious valuables in your apartment, you might need to add what’s called a floater. This addendum to your insurance policy is designed to cover high-end goods. From your grandmother’s wedding ring to precious artwork or family heirlooms, anything of extra value will probably need additional coverage. This can also apply to items like collectibles, fur coats, and even musical instruments. Remember that if your place catches on fire or you’re hit with a burglary, precious heirlooms and other items can never be replaced, but at least your insurance will be able to repay you for the estimated cost or value. It probably goes without saying that you’ll need to do a little bit of rate comparison before making your decision. Most renters insurance charges a monthly premium, or you may opt to pay a years’ worth at once. Check for new insurance companies that give you a low-cost option like lemonade renters insurance. They have a simple app, easy to understand coverage, and reasonable monthly rates. Alternatively, if you already have car insurance, your company may be able to bundle the car and renters insurance together to give you a discounted rate. Do your homework and a little side-by-side comparison to ensure you’re getting the best coverage and the best rates possible. While renters insurance covers your belongings, protects you from most forms of liability, and provides you with temporary housing, your landlord has their own insurance responsibility. If the apartment building you live in catches fire, for example, their insurance will cover the structure itself. It should also cover major appliances, fixtures, and the basic pieces that make up an inhabitable apartment or condominium. Keep in mind that if you need to move out for a while until your landlord can make the necessary repairs, you’ll need to file a claim so you will have a place to stay until you can return. Floods, hurricanes, and other natural disasters can happen almost anywhere and at any time. 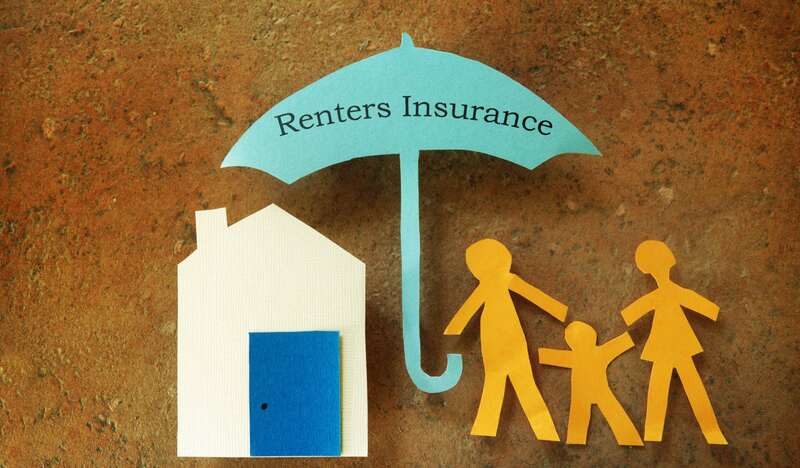 The majority of renters insurance policies do not cover lost or damaged belongings as a result of a natural disaster or things like termite damage. A fire that starts in your building or your individual apartment or floods due to leaky plumbing are situations where your policy will cover everything. Check with your local insurance agency to find out if you can supplement your coverage to protect you in the event of a natural disaster. If you live in a flood zone, it’s especially important to get supplemental flood coverage. The odds of losing your belongings in these areas is much higher than in places not considered to be a flood zone. Take a very close look at your renter’s insurance policy and read it through line-by-line. If you find that you have questions, contact your agent who should be more than happy to clear things up. It’s also a good idea to revisit your policy every year or two just to make sure your coverage limits are at a good level. As life goes on, we tend to accumulate more and more things, so your coverage limits might need to rise to accommodate your growing personal belongings. As long as you do your homework and read through your policy carefully, you should have peace of mind while renting. Once you’ve signed up for a renter’s insurance policy, you should be able to transfer the policy with you whenever you move with a simple address change request. If you understand what you own and its value, finding excellent renters insurance coverage should be an easy process. Make sure you do your homework, shop around for rates, and find out exactly what will be covered. You work hard for the things you own, so it’s important that you can replace them in the event of a fire, water damage, or a break-in. Talk to an insurance agent to make sure you get the coverage you will need. For more information about home maintenance, property, or DIY home projects, be sure to check our blog. When it comes to finding your perfect ‘forever’ home, the search can seem never-ending. Yet, we all know that when you’re looking to buy a home, that you have to be patient. Because the kind of home you want may not be available right away. And it may take you months or even years of searching to find it. Or, sometimes, you may never be able to find it at all! And that possibility can be quite overwhelming to some – especially for those looking for something quite specific. This is often why some people decide that they want to build instead of buy. Yet, if you are going to build your own home, it’s essential for you to be able to ask yourself some key questions to see if you really are cut out for it. First of all, you’ll want to establish some kind of budget. Because the cost to build a home can vary. So you need to work out what you can afford or what you’ll willing to pay – and then research how much this is likely to cost you. The second big question that you not only need to ask yourself, but also be aware of, is just how long it can take for you to build a property. And there will be two parts to this question. The first is that you need to know how long on average it takes to build a family home. And then, from there, you can estimate just how long your project might be. It is so important to do this so that you can manage your expectations. Next up, you’re going to want to make sure that you have all of the equipment necessary. And, if you don’t, that you can get access to it. Depending on your circumstances, you may want to look for mini diggers for sale if this will save you time and money. If not, you may be okay with simply looking to hire the equipment you need or even people that will come and do some of the work for you. And so, as a step on from the previous point, you will also want to work out whether or not you are going to bring in some expert help. Because sometimes, it’s much better to hire expert tradesmen to help you than to try and do it yourself. And Finally, it’s also incredibly important for you to be as realistic with yourself as possible. Do not just hope that can make this work or embark on it when you know that perhaps it really is a pipe dream! If you are going to commit to building a house yourself, it’s just so important that you have the time to do it, that you’re aware of the stress you may experience and any risks, and that you’re happy to go ahead. Because it’s a big task – but if you’re not afraid of the challenge, hop to it!